A luxury Manhattan condo development is getting a new digital home on the worldwide Ethereum blockchain. 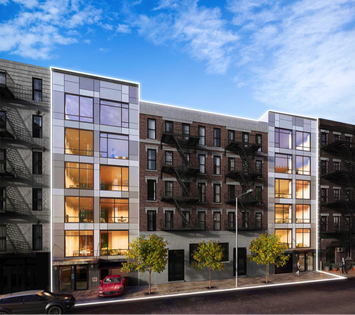 The building, a completed 12 unit construction with 1700 sq ft units located on 436 & 442 E 13th St in the East Village, is the first major asset in Manhattan to be tokenized on Ethereum. The property has recently been appraised at more than $30M. Ryan Serhant, bestselling author of Sell It Like Serhant and star of Bravo’s Million Dollar Listing New York, is the listing broker on the deal. He and the developer are turning to tokenization as a new method of financing, which could serve as a better alternative for the project and investors. “The market in New York is always strong, but it can take some time to sell for the right price in a new construction building. With blockchain tokenization, we can remove the unruly pressure of traditional bank financing, which is much healthier for the project and all of the stakeholders. Tokenization is paving the way for a new forefront in real estate development,” Serhant told me. Tokenization is the process of representing the ownership of real world assets digitally on a blockchain. This new method of financing is the result of the partnership between Propellr and Fluidity, two companies who have joined forces to offer compliant products and services for the creation, distribution, and transfer of digital securities. Traditional securities structures and issuance frameworks haven’t evolved in a long time. With blockchain technology, a transparent and trustless ecosystem can start to solve the information asymmetry that hinders the market’s potential for liquidity. This asset, structure, sponsor, and sales team showcase this evolution. With proper discipline and respect, the future is bright for tokenized securities , Todd Lippiatt, CEO of Propellr, told me. Propellr is a creation, management, and servicing platform for digitally held assets, and parent company of Propellr Securities, a FINRA registered broker dealer. Propellr will use its financial and capital markets experience to offer and sell traditional and tokenized securities under what is known as Reg D rule 506(c). Fluidity, the team behind AirSwap, provides technology services to registered broker-dealers, issuers and financial institutions for tokenized securities. Fluidity has partnered with Propellr for their institutional capabilities, allowing them to accept fiat payments and solicit and sell securities under 506(c). Investors will have the option of receiving either analogue or digital interests in the securities, which should cover all bases for potential buyers of the transaction. AirSwap technology will be incorporated into the offering process, including “tokenizing” the securities and allowing for a compliant secondary market to emerge. “Along with our flagship AirSwap, we’re building a system that brings local assets online using blockchain technology. This makes them available for trade on a global marketplace—directly among buyers and sellers. Fluidity is forming the foundation of a new system of tokenization and trade,” Don Mosites, co-founder of Fluidity, told me. The tokenization structure was contemplated and published in The Two Token Waterfall, a comprehensive framework for applying blockchain technology to the entire capitalization of a real estate transaction. The added transparency of the structure has the potential to improve the liquidity of private securities, and can be applied to a broad spectrum of assets in the real world. “Going to market with a landmark deal allows us to make a statement—that this technology is now real. With the right partners and an optimized structure, we are bringing a major real world asset online. We are grateful we have the opportunity to lead the blockchain community in this new paradigm,” says Michael Oved, co-founder of Fluidity.